"The one sees farthest who flies the highest." Why not call a friend? The stock market is full of unavoidable risk, but if you learn enough, you can manage the risk and make money. If you don't already know about Goodreads.com, you're about to be amazed. I learned about it as part of my continuing education as a writer. 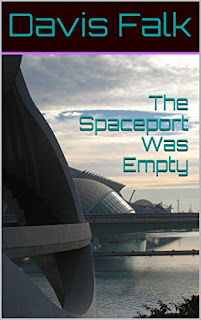 Since the site aggregates booklovers, it's a great place to have your book featured. One way to do that is to give one or more copies away. If you are a reader, this is a great way to get some free reading material. But everyone doesn't just get the free books, and it isn't first come first served either. The giveaways are really lotteries or drawings. But there is no entry fee. You just click a button to enter. The selection is not random like an actual drawing would be. Goodreads selects winners based on a number of factors, one of which is whether an entrant reviews books in the category of the one being given away. Another has to do with your shelves. When you sign up on the site, you are prompted to start adding books. You build your presence by filling your "shelves" with the books you have read or want to read. You can rate and review the books you have read, and you can create new virtual shelves to put books on. So if you have a lot of romances on your shelves, you're more likely to win a giveaway of a romance. Another feature of the Goodreads community is friends. You're friends can see what you are reading (even what page you are on, if you want to be meticulous), and what giveaways you have entered. You can see how this becomes a valuable promotion tool for publishers and writers. Of course, there are reviews you can read, just like on Amazon and elsewhere. Many of the giveaways are of self-published books and lesser known authors, but the big publishers are definitely paying attention, and have entered the Goodreads arena. I am actually friends with Houghton Mifflin Harcourt, Simon & Schuster, and Harper. There are currently over 2600 giveaways running, which end at different times. Some of the more popular giveaways are a re-release of Stephen King's Misery, Nicholas Sparks' The Choice, and Arthur Conan Doyle's The Legend of Sherlock Holmes. These are just a few of the fun ways you can spend time on Goodreads. Explore others yourself. And while you're there, friend me! I found this quote while doing research for a demo I'm working on for ghostwriting autobiographies. Hey, if it's good enough work for Alex Haley, it's good enough work for me. I was talking to my mother about this recently. She and I are alike, we rarely, if ever, get bored. Lonely, sometimes, but also rarely. Actually, they are kind of the same thing. If you are an avid reader (I have always wanted to be, but just can't read fast enough) then you probably have similar thoughts, unless the book isn't that good. But that is also rare. My mind is always working on something. There have been times when I have enjoyed being a couch potato, just sitting back and being stimulated by movies and TV. But that's usually when I am tired from a long day's (non-writing) work. Now, I am lucky if I get though a TV episode without jumping up and heading for the computer to type out some new thing that's popped into my head. Writing somehow facilitates that process. I have long been curious about how the mind works, and it would be interesting to study the neuroscience of writing. The curse that Criss refers to is that because loneliness and boredom are the things that prick others to get out and socialize and do something productive or fun, the writer, then, never does. Oblivious to this world, at least for a time, she lives in her own world, the world of the work. Whether it is a parts manual for a mini-van, or an epic literary novel, the mind of the writer inhabits the world which inhabits her mind. Kind of paradoxical, ain't it? So, do you get bored or lonely? Please drop me a comment. I was born poor of money, but rich in heart, both of which made me what I am today. He felt a strange longing for the simplicity of the past, and she filled that longing. Hard to follow dialogue is a malady less commonly found than those discussed previously, but one that will almost inevitably lead to the immediate dismissal of a manuscript. No agent or editor is going to sit there poring over a manuscript, trying to decipher who is saying what to whom. He will quickly become frustrated, resenting the writer for not taking the time to clarify his dialogue. Some of us need the drill sergeant approach sometimes. And it is better to be berated in this rather impersonal way than to get it from an editor after submitting work that we think is, well, almost perfect. Given my rebellious nature, and the tone of the book, I couldn't help smiling at some sections like the one above, and becoming rather critical of this author myself. Critical of things like his use of the word obvious or obviously, leading me to wonder why he was including this information if it was so obvious. Or the "End of Chapter Exercises" that come, surprisingly, at the end of each chapter. The First Five Pages provides some tools for the writer's editor persona. But I think it is important to keep in mind that a book doesn't necessarily get better with each hour spent pre-editing. There is a point at which this task must be abandoned and the work released to its intended audience. This book is already seventeen years old, so keep that in mind, and be sure to learn a little about your editor before submitting something to her. Lukeman has some strong opinions about how to submit that are not true of all editors. For example, he would rather skip the synopsis and go right to reading the manuscript, while some editors do not even want to be sent a manuscript until and unless it is specifically requested. I recommend The First Five Pages: A Writer's Guide To Staying Out of the Rejection Pile as a way to prepare for the worst in editorial feedback. But be sure you are getting encouragement along the way, and don't ever give up! Joe approached the body with caution, saw the rope tightly wound around the victim's neck, a concluded that this was a case of suicide. Imprisoned in her third floor studio, Molly smelled Dirk's manhood as he entered the parking garage, and swooned. Born with only two lips, Steve Martin learned to use shortcomings to make others laugh, and turned them into powerful gifts. In the blackness of the anti-matter engine room, Gregor didn't see -- but felt the creature circling around him. This book is a couple of years old as of this writing. But I have to review it because it has been such a great help to me in working on my novel the past couple of months. Dan Millman is the author of the bestselling self-help book The Way of the Peaceful Warrior and many other self-help books. The coauthor is his daughter Sierra Prasada, also a published author and editor. The book is easy to read and flows very quickly from start to finish. But I find myself using it as a reference. I have read most of the book, but I keep rereading sections as I get to a new stage in my work. This is the kind of guidance I would expect from an editor. And with his long experience as an author, Millman knows a little about how editor's work. Prasada works as an editor and brings that perspective. But the voice is not that of a harsh critic telling the reader what works and what doesn't work. It is a considerate coaching voice of encouragement, with a concern for the creation of the best possible narrative work. The analogy of the "golden thread" from the Greek myth of Theseus and the Minotaur is key to the message. As Theseus followed the golden thread to navigate his way through the labyrinth, an author must find his or her golden thread, which is what the narrative is about, not necessarily the plot. If you are Millman fan, you will appreciate his description of the stages he traverses, from procrastination to obsession, during the process of writing a book. And the father-daughter duo give some suggested steps to finding and honoring the "golden thread" that are easy to follow or modify. This book is a great reference for authors of any kind of narrative, whether fiction or nonfiction. Even poetry and other forms. The authors draw on the wisdom of many famous writers, philosophers, and others. 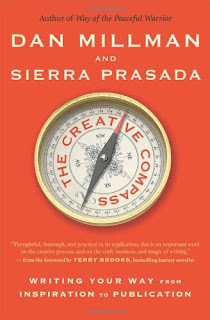 This book should be part of every author's toolkit. Put it on your shelf! Between . . . are transparent clouds. This morning when I went out there was a light snow falling, but the sun was very bright. It was strange. Unfortunately, I did not take any pictures of this phenomenon. I searched for such a thing and couldn't find a picture of it anywhere online. 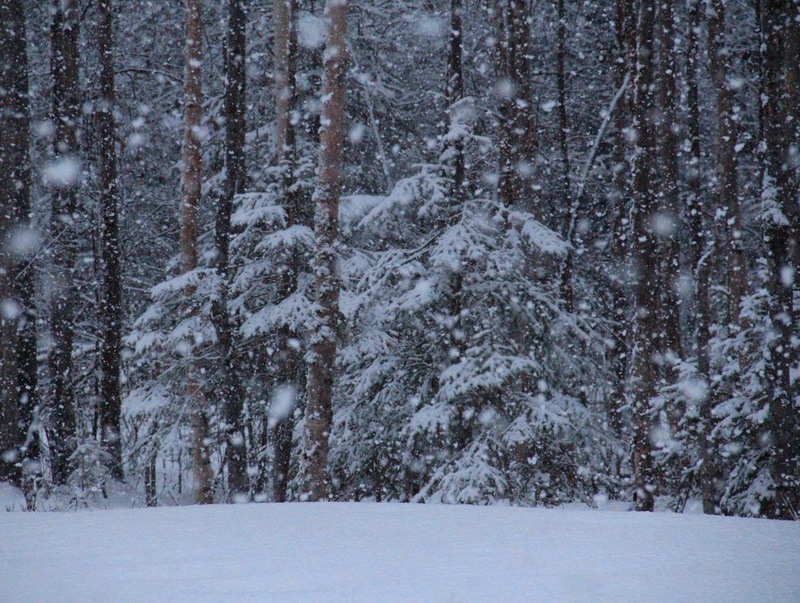 So here's a nice picture of falling snow and trees. And a haiku of course! New eBook Shows How Philosophy Can Be Fatal! What if there was a philosophy so dangerous that it could kill you? 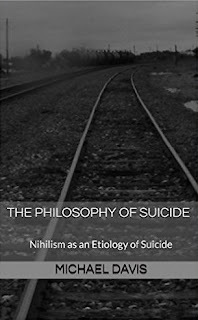 That is the subject of my new eBook, The Philosophy of Suicide: Nihilism as an Etiology of Suicide. Although this is a scholarly work, you don't have to know philosophy or psychology to understand it. 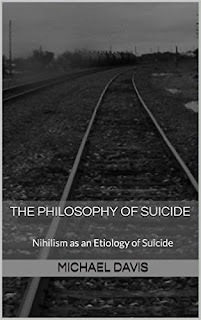 In fact, it is a good introduction to the topics of how suicide works psychologically, as well as what nihilism is. You'll learn about the history of nihilism and Friedrich Nietzsche. I also provide an summary of suicide pathology. Finally, I present the compelling but tragic story of a man whose philosophy of nihilism led him directly to suicide. This is unlike any book you have ever read. Fr. Harry Hagan said that narrative starts at tension and ends at resolution. Aristotle said every story has a beginning, a middle and an end. Meeting Fr. Harry's criteria is not difficult in a single sentence. It is the middle that is the most difficult. As the atmosphere grew stale with cigarette smoke in the tiny motel room, Pierre's discomfort waxed into anger, until he burst through the door into the clear night air. 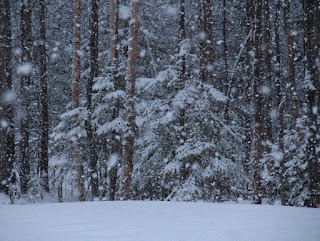 It was a bright and bone-chillingly cold day until the warm soothing rain of evening began to fall. Until his gun was drawn, the muscles in Tex's shooting arm twitched, sending away flies that had been drawn to his sweat. A hundred fleas took up residence on Flicka, my dog, and made money from what they found there.